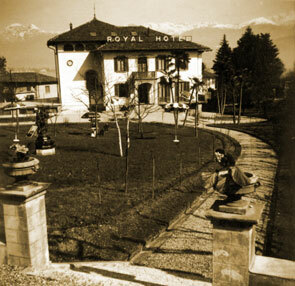 Hotel Royal, private villa of 1920, was purchased by the Rosa family in 1958. The painter, Vittorio Rosa, with his wife Liana, was able to furnish and widen the hotel in good taste and enthusiastically typical of an artist, creating a friendly and homely environment where the guests feel at their ease. Their son, Antonio, maintained the same atmosphere in the following redecorations. Their daughter, Michela, will welcome you and look after you in this “special” hotel.